As a dancer with the ultra-prestigious Manhattan Ballet company, nineteen-year-old Hannah Ward juggles intense rehearsals, dazzling performances, and complicated backstage relationships. But when she meets a spontaneous and irresistibly cute musician named Jacob, her universe begins to change. Until now Hannah has followed the company’s unofficial mantra, “Don’t think, just dance.” But as her relationships with Jacob intensifies, so do the pressures within the company. With her eyes newly opened to the world beyond the theater, Hannah must decide whether to compete against the other “bunheads” for a star soloist spot or to strike out on her own. When I was younger, Hannah is who I wanted to be when I grew up. I lived ballet for years, but was never quite good enough to get any further than pointe classes. 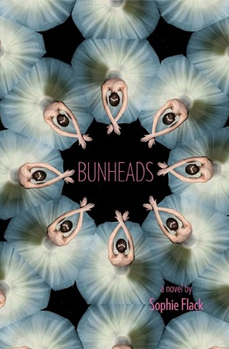 Reading Bunheads was like revisiting a well-loved dream and wished for life. Bunheads is Hannah’s story. It’s a calm book, following her as she dances for the Manhattan Ballet Company, meets a guy and realizes maybe dancing isn’t all she wants anymore. The biggest draw for me, besides the ballet, was the lack of crazy drama. Outside of normal competition (she’s striving to be a soloist against all the other member of the corps de ballet, after all) and regular boy problems that come along with trying to date and live a completely ballet focused life, Hannah is craziness free. This book is very much a character driven story, revolving around daily life and personal decisions. Because of this, Hannah is a character that is easy to delve into. Since the story is being told from her point of view, the reader is able to see the nitty gritty details of how she came to be where she is, and why she makes the decisions she does in the end. And Jacob? So much love for him. He likes Hannah and reaches out to her, but doesn’t let her walk all over him. And he also doesn’t pressure her to change or cave to his every suggestion. He’s that kind of guy I think every girl wants deep down – he’s there if she wants him and is supportive, but he’s not going to pine after her if she can’t make time. Very down to Earth, independent, dependable and loveable. Because I was so entrenched in ballet growing up, I was able to clearly visualize the choreography and dance positions as Hannah details them in the book. By using the technical terms for positions and moves, though, readers who do not have an extensive knowledge of ballet may feel a little lost in trying to understand the dance aspect of the novel. The technicality adds a dimension to the story that would be lost without it – a realistic immersing into the world of professional ballet. And also, it would take away from the characterization. This is who Hannah is. I think for her to use anything but the correct terminology would be out of step with the character and setting that Sophie Flack is portraying. Bunheads immerses you in Hannah’s world, and that world is the ballet. Hardcover copy provided by Hachette Book Group Canada in exchange for my honest review. Thank you!